I hate Sailor Moon, but for some reason that is still unknown to me, my sister loves it. It freaks me out that Darien/Mamoru, a man who seems to be in, or maybe finishing, college, is involved with junior high school student Serena/Usagi. The cartoon seems like a super hero kid show for girls that says it’s OK for older men to have pedophilic tendencies. Still, Queen Beryl was great. 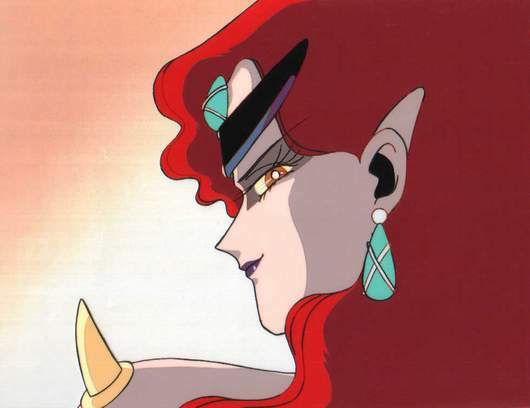 I don’t know what was wrong with Darien, but if I was him, and I had to choose from Little Girl Serena, or Mistress Queen Beryl, I’d have gone over to the dark side.